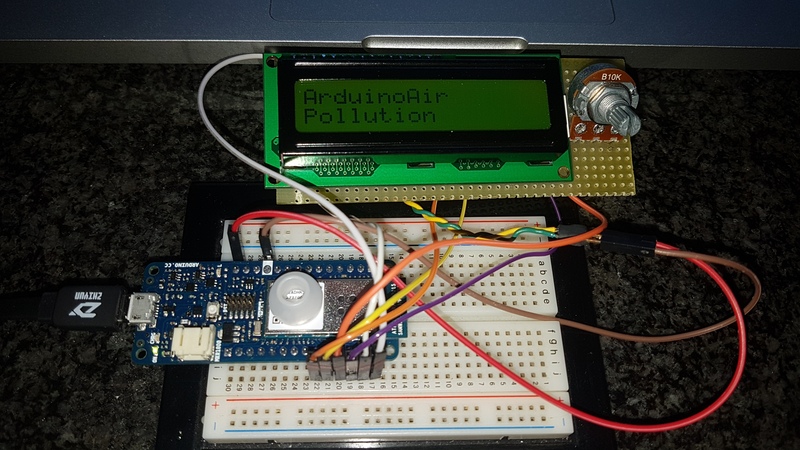 This is an easy tutorial to use the Arduino MKR1000 with the HD44780 Lcd Display. In this case i’ve used a 16×2 display, the same is for 20×4 or others display you have only to change the code. For this tutorial i’ve used the MKR1000 digital pin from D0 to D5. To power up the LCD you need to use 5V and GND pins. 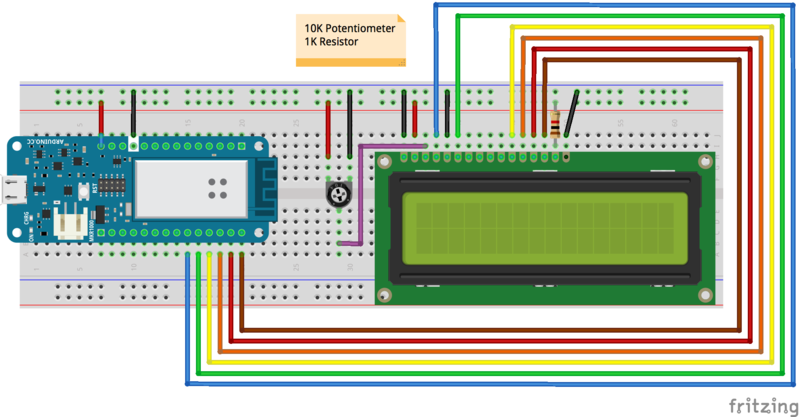 The potentiometer is needed to have the right contrast on the display. !!! If your display has no backlight the last two display pin with 1KΩ and GND connection are not used. !! !